Buying a sat nav which won't break the bank means you risk getting hopelessly lost at the hands of shoddy equipment, but the new TomTom Start2 aims to bring fully featured satellite navigation to those with the most meagre of budgets. The Start range sits below the more popular and expensive XL, One and Go systems in the TomTom line-up. And with the standard model bundled with UK-only maps available to buy for just £119.99, it's an attractive proposition for anyone looking for a sat-nav system. 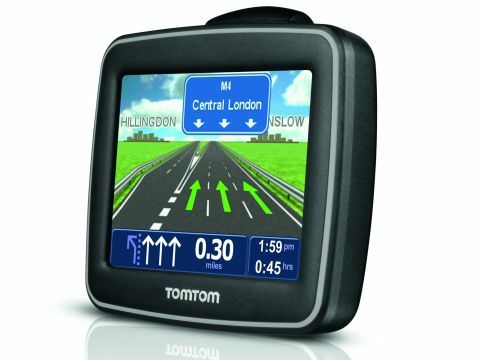 TomTom also sells the Start2 system with European maps for £139.99. The original TomTom Start only offered simple navigation and map browsing, while the rest of the range enjoyed advanced features like spoken place names, lane guidance, media handling, support for Bluetooth devices and text-to-speech support. The TomTom GO range enjoys full 'LIVE' subscription-based services, such as traffic updates while you're driving and fuel price information, and voice control technology. The XL features a widescreen display, and the One has advanced lane guidance system for motorway junctions. While TomTom has led the way in the sat-nav market for the last few years, it has come under pressure to update its entry level range, with strong competition from the Garmin Nuvi 255 which has loaded its lowest priced systems with European mapping and speed camera locations. The Start2 now gets advanced lane guidance and spoken place names previously exclusive to the top-of-the-range TomToms. Advanced lane guidance simply gives you an in-car view of motorway turnings as you approach, so you can clearly see where you need to be, which in most cases is the left-hand lane. It does help on more complicated junctions though, and it would be inadvisable to navigate Spaghetti Junction without it. The spoken place names does exactly what it says on the tin, and reads out streets as you approach them rather than gruffly ordering you to "turn left" or "bear right".